Are you sickening and feeling dreadful for hurting your friend's feeling? Being regretful for what you have done? Then convey a sincere heartfelt apology to convince your bestie. Your pain would be better conveyed with this emotional sorry image. 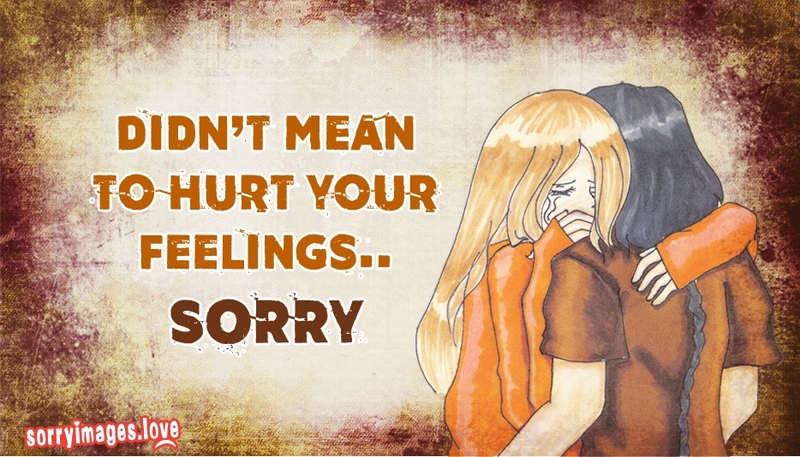 Forward this "Didn't Mean to Hurt Your Feelings" image to your close and best friend for free.